Acharya Pramod Sharma had an innate belief in Astrology - hence, he pursued Astrology and did hi MA in jyotish shastra from JRRS University. 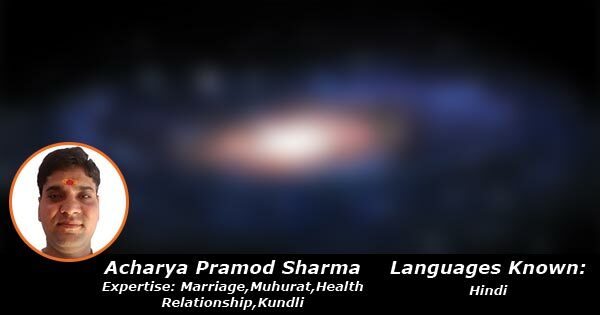 He is practicing Astrology since 9 years and is continuously learning so that he can help his clients better. He specializes in Muhurat,Health, Marriage and Relationship Problems through reading Kundli.